Our friends at FabFilter have just released a short overview video demonstrating new features in their upcoming release of Pro-L 2. The previous version, FabFilter Pro-L, was regarded as very powerful mastering limiter... popular too. Earlier in the year, we ran a poll asking the Pro Tools Expert community to vote for their favourite limiter plug-in, FabFilter Pro-L was voted most popular out of the 15+ limiter plug-ins we featured. How could FabFilter possibly improve on perfection? Well, it appears FabFilter have done so with the addition of several new features. 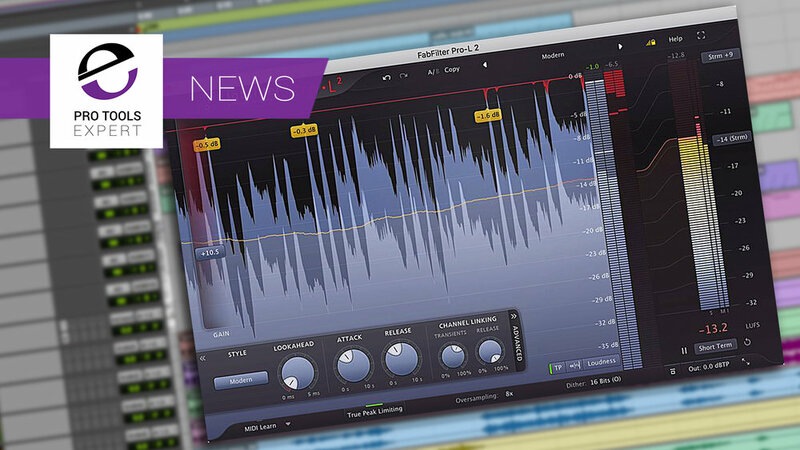 What's New In FabFilter Pro-L 2? FabFilter Pro-L 2 will be available to purchase and demo on 5th December 2017 for EUR 169/$199/£149 from the FabFilter website. Though introductory offers have not been announced we recommend current FabFilter users check their FabFilter user accounts for special pricing when Pro-L 2 launches. We look forward to trying this out when it releases, watch this space for a Pro Tools Expert review of FabFilter Pro-L 2 in the coming weeks.